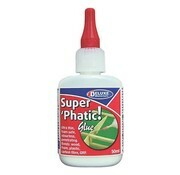 Super’Phatic! : Highly penetrating yellow aliphatic glue with “wicking” action for close fitting pre-assembled joints. 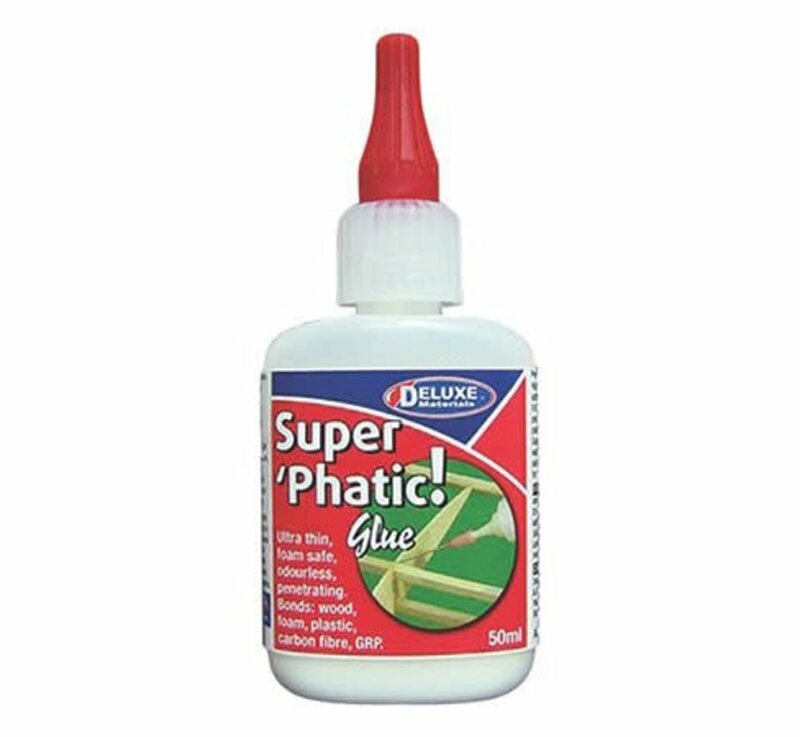 Highly penetrating yellow aliphatic glue with “wicking” action for close fitting pre-assembled joints. Dries fast and bonds wood, white and blue foam, plastic. Is waterproof when set and produces tougher joints than cyano.